This is designed by Davor Vinko. 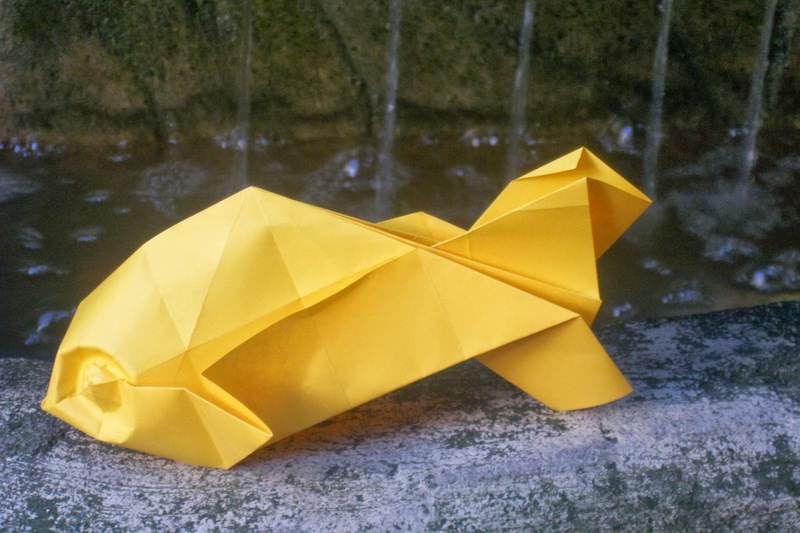 I have folded this just before New Year, but I only featured this like, 17 days later......Why? Since I was so freaking busy. Anyway, The fish is great for beginners. 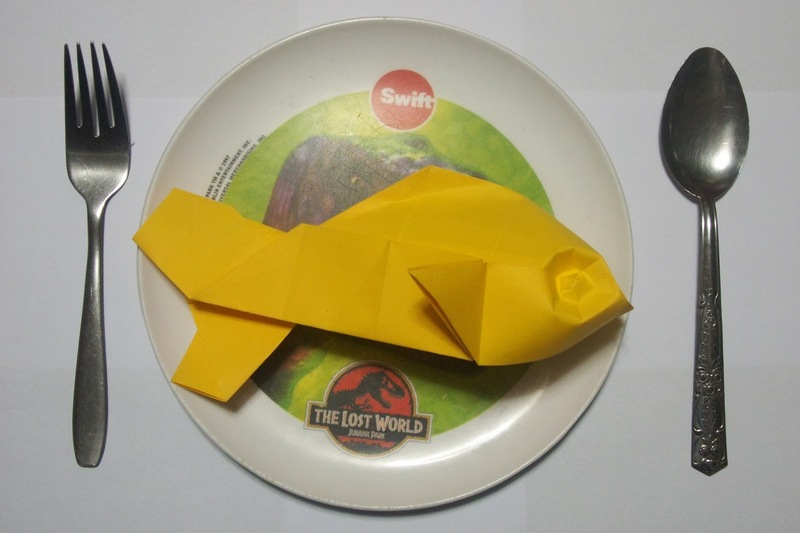 The fish is easy, yet it will also teach you new techniques in Origami. (For example, the pushing technique used in making the eyes). The tutorial for this can be found at Jo Nakashima's Youtube Channel.